Maybe you have seen it already. It is a tall round building between Knaackstrasse and Belforter Strasse. The big square also hosts other related buildings to the tall Wasserturm Prenzlauer Berg, or Prenzlauer Berg’s Water Tower. 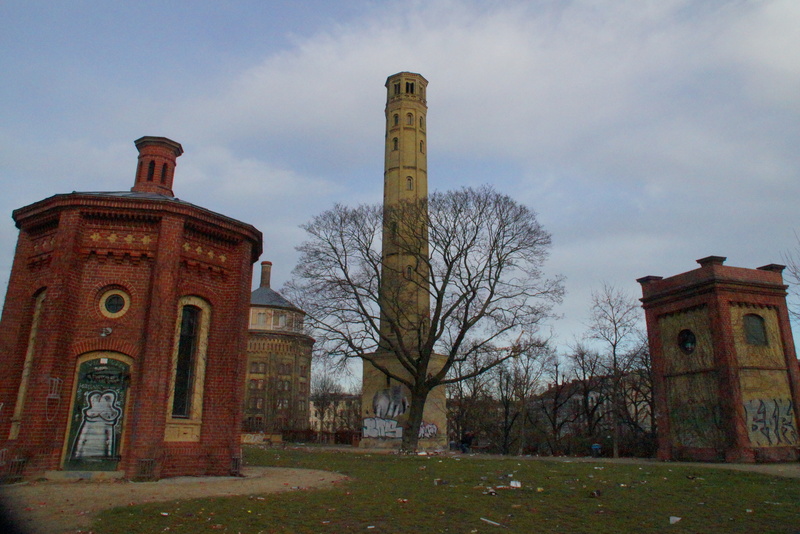 Built in 1877, after 50 years the idea first came up, Prenzlauer Berg’s Water Tower is Berlin’s oldest water tower. The tower allowed the rapid growth of Germany’s capital with the, at the time, innovative way of distributing the water through pipes. The water was stored in the top of the tall building we see today and the body of the tower was used by its workers as living space. Today, the apartments have been remodeled and are used still as residential space in one of the most expensive neighborhoods in Berlin. The Water Tower is so beloved that it was featured in two of the district’s coat of arms. The building complex held also a machine house that was used later as a early Nazi concentration camp that was demolished in 1952, after the end of the Second World War. Today, besides the residential building made of the water tower itself, the complex holds a memorial for the National Socialist regime victims that died there, a playground and a open area where it is common to sunbathe during summer and to party in winter (well, to party all year round). There you can see approximately 20.000 roses and the vines planted in 2005 for the production of sparkling wine.